Fracture Care. Trauma. Foot and ankle Reconstruction. Arthritis. Sports Injuries of Foot and Ankle. My goal is to work in close partnership with my patients and their families to achieve a full recovery from their orthopaedic problems. Primary Area of Focus: Fracture Care. Trauma. Foot and ankle Reconstruction. Arthritis. Sports Injuries of Foot and Ankle. Good but I had a question he could not really answer. Exellent job ! Thank you ! This was my first visit with Dr. Caronis. I found him to be very personable, he pinpointed my problem immediately and suggested a course of treatment. I was happy to get an appointment as quickly as I did. Now, a couple of weeks after the appointment, I'm finding the treatment to be effective and hope that my injury heals soon. I came to a apt that was not in the booksThe office had changed the day but didn't call me. Dr caronis is very impressive. He explains injuries showing a model of anatomy. He sits at eye level and listens. Instructions are easy to understand. He is very approachable. His ma X is excellent very gentle and very proactive. Dr Caronis is a very caring person. He always listens to me and makes me feel like I am the only patient he has at that moment. I felt Dr. Caronis was not really listening and short when talking to him. His staff was the one I felt were really showing care for me. Great physician. Though he does not do the surgery needed, he did provide and arrange for appointment with another surgeon in the office. I couldn't be more pleased. After 2 significant foot surgeries, I would highly recommend him. Great doctor, great guy! Dr. Caronis was excellent X (his nurse) & X (receptionist) also. I'm legally blind & form is too burdensome to complete. Very good interaction. the doctor and staff treated me well. Dr. Caronis is a warm, comforting, and extremely competent doctor. Dr. Caronis and his staff are really awesome. He helped me through the most serious injury of my life. He really made a serious ankle break w/pins/ screws and plates completely manageable. He deserves a gold star! Greg is very personable and friendly- sincerely interested in his patients. Simply awesome!! !from the registration process to discharge simply awesome!! !from the Registration who have done so much help of making the appointment an easy process, to the nurse who treated me with respect,,very informative and efficient,, and of course Dr.Caronis who treated me with my Fractured foot,I'm running the Boston marathon and he made this possible even with the injury. Thank you Dr Caronis!!! Wish I knew about Dr. Gregory Caronis in year of 2011. I am very grateful for the excellent care I received from Dr. Caronis. He was straight to the point and made feel confident that I made the right decision about choosing him to perform my surgery. He is friendly, honest, and made me feel at ease espcially on the day of surgery. He was very late. Barely spent 2 minutes with me and was obviously rushed. He was polite. Dr Caronis seems to take genuine interest in my health. He never seems rushed to get to the next patient. My appointment was for 2:00, I showed up at 1:45. At 2:00 I was brought into a room, and was told that the doctor just left for the hospital and it will probably be a half hour. I was not informed that it was an emergency of any kind, just that he left. I sat in that room for a half hour before he returned. Not a good start. Dr. Caronis and staff were great, as evident by responses on survey. I had a bad sprain, when calling my provider, it was at the end of the day, 1 day after a trip to the emergency room for x-rays. I had confused the day of my visit by 1 day. the Dr. was willing to see me anyhow and was very thorough and helpful. Dr. Caronis was very courteous and professional. I would recommend him to my friends, if they needed an orthopedic surgeon. very good. I have been seeing Dr Caronis since 2013. I always find him very professional and very friendly to talk to. I was referred to Dr. Caronis for follow up care that required a specialist so this was my first visit. He had fully prepared before the appointment by speaking to his partner who already saw me, reviewing my medical records and my CT scan so he was ready to provide a recommendation and discuss any concerns when I arrived. I was very impressed! Straight forward answers regarding the status of my injury was what I wanted and requested during our conversation. The doctor also took adequate time during discussions and I didn't feel rushed. The office staff was attentive, friendly and caring. I highly recommend Dr Caronis to all my friends and family. His bedside manner is excellent and I feel he is an excellent physician. Thank you Dr Caronis for a great experience, you're so kind and a great Doctor. I would recommend you to all my family and friends. Dr. Caronis is sincere, warm, considerate, VERY approachable, and knowledgeable! I was very pleased with the time I spent with provider I also was pleased with the way he explained everything to me. Very good . Caring and respectful. Dr Caronis is going to be my new Orthpaedist! great doctor saw me when I needed it quickly. Dr. Caronis was very clear and concise in his explanations, and I felt safe and well-cared for during any treatments or discussions I had with him. I am grateful that I was able to meet with him and begin an effective physical therapy routine before I moved. Dr. Caronis is very good at listening and explaining what is happening and what will happen with my Tri-Malleolar ankle break. I am very grateful that he is close by and I can get in when I need to. I will recommend him to everyone! Dr. Caronis is very kind, respectful, considerate thorough, & knowledgeable. Highly recommended in the community. This was only the first visit. So far the results are great, but still have another 2 weeks before being checked on again and hopefully work on the other knee. The person scheduling said both couldn't be done at the same time even though x-rays were available for both knees and one hip. these questions were two general. My doctor visits were follow-up to a fractured leg. I am very happy with every aspect of care from this doctor and others in the office! Clone Dr Caronis. Now you have a copy of excellence. 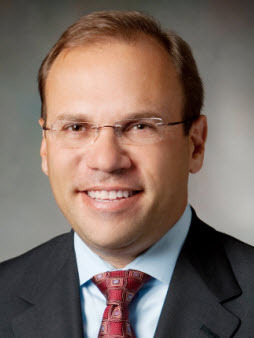 Dr. Caronis is a wonderful, caring provider who really wants the best for his patients. Very impressed with Doctor on my first visit. Dr. Caronis is extremely personnel and concerned with my health. I was very happy with this visit. Good experience with this provider at every visit. All of the staff were very informative and pleasant. I've chosen that picture on his to do my upcoming surgery and feel he is very qualified, and and will be the best surgeon for my situation. Very kind individual who listens to his patients and wants the best for them. Dr. Caronis is the b eat. I always highly recommend him to anyone who needs an orthopedic surgeon. He listened to me and had an Cray done and had me schedule an MRI all within a few minutes. foot problem.was told to rub it and stretch it. the problem is still not gone. Great experience with the doctor! Dr. Coron is an excellent orthopedic practitioner - He is very personable, he listens & gives thorough explanations & truly cares about his patients. Greg Caronis is an excellent physician who cares about his patients. Dr. Caronis helped me with cortisone shots before my vacation and enabled me to walk and enjoy my grandchildren in FL. He was compassionate and understanding. What I liked the most was that he showed us the results for my x-rays, he showed us the images. Helpful visit, I got in for appt. within a week, got immediate treatment, lots of good listening. Love Dr. Caronis! Dr Caronis is excellent! He cared about what happened, spent the appropriate amount of time with me, explained everything, asked if I had questions. I highly recommend him!!! I'm still in pain, issue was not resolved. Dr. Caronis did a fine job figuring out the best treatment for my broken foot that allows me to live my life and heal my injury. Dr. Caronis has been my orthopedist since 2003. When I injured my ankle in 2017 I sought him out since he'd left his previous practice. He is patient, answers all questions & explains everything very well. I wish all of my other doctors were more like Dr. Caronis. I always recommend him! This was my first visit with Dr. Caronis. I appreciated his direct approach and the way in which he explained my options and left me with all the information I needed to make a decision. Should I decide to have surgery I will definitely consider Dr. Caronis. The provider is excellent. The billing department in his office leaves a lot to be desired. I have had issues with insurance submission and billing ever since I followed this provider to Advocate. I don't see it as a reflection of the provider but do see it as a reflection of the Advocate system. I have had numerous visits with Dr. Caronis. He did my Achilles reconstruction surgery for which I have another 8 months rehab to do. He is VERY personable and knowledgeable. This visit was a 2nd opinion on recommendation from another provider. I have decided to move forward with Dr. Caronis as I thought he was great, thorough and he felt I have an action plan moving forward. Received cortisone shot in ankle. Dr. C was very gentle and efficient. Dr. G. Caronis is an orthopedic specialty doctor. I went to see him for my knee problem, not for other health issues. I value Dr. Caronis as a care provider. visit was for second opinion regarding foot surgery. Doctor was very nice. if and when I have surgery, I will probably schedule with him. The only problem with this particular visit was the long wait time--all else was fine. I received excellent care from Dr. Caronis. One of the best doctors at Advocate. This provider is very informed of the health problem I have. He was very attentive, courteous, made me feel very comfortable while he explained my situation. I thought the dr. & staff was very courteous. The dr. spent time with me and explained exactly what I needed to do. Would definitely recommend him. dr caronis and his staff went above and beyond what was expected. due to insurance issues there was a possibility of my second surgery not being covered. he and his staff took care of it for us. after being on the phone with insurance and hospital all afternoon before the surgery, he and Kathy both took their time and made arrangements for the surgery to happen. His physician's assistant Kathy I'm sure stayed well after hours to handle it all. I appreciate everything they did. This doctor knows what he's doing. Dr. Caronis and his staff are very professional, friendly and efficient. This doctor would come very highly recommended from our family. excellent experience. I couldn't ask for anything better. Dr. Caronis is an excellent doctor. Has treated me for various orthopedic issues over the years. Very thorough, professional, and friendly. I like Dr. Caronis he treated my broken ankle in 2010. He is very knowledgeable. It was excellent, professional. He was caring, and excellent over all. health eNews with Gregory Caronis, M.D.